The Auditor-General has rejected a GH¢269-million bill presented by the Ministry of Energy (MoEn) as part of the government’s liability for various contracts undertaken by the ministry in 2016. An audit of the government’s liabilities to ministries, departments and agencies (MDAs) shows that almost all the bills on various contracts presented to the government for payment by the ministry did not either have supporting documents to back the claims or had already been paid. A yet-to-be released Auditor-General’s report on MDAs’ liabilities as of December 2016, a copy of which is available to the Daily Graphic, shows that there were no documents to support the payment of GH¢269 million to various supplies to the Energy Ministry. The audit of the MDAs was sparked by the 2017 budget hearings, during which it came to light that there were several outstanding debt commitments within the MDAs which were more than their budgetary allocation, in spite of the several initiatives put in place by the government to manage arrears build-up and the flow of payments by the Ministry of Finance. According to Ministry of Finance sources, the outstanding liabilities, with their associated cost interest, would negatively have an impact on government finances and reduce its ability to execute development projects. 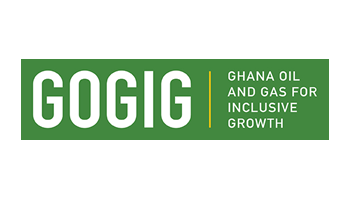 A detailed analysis of the report shows that several bills presented by the Ministry of Finance from various contractors and suppliers showed that either the debts had been cleared and captured through the Ghana Integrated Financial Management Information System (GIFMIS) as having been paid or lack supporting documents to support payments. A contract by Busi and Stephenson Ltd in December 2014 for the supply of treated wooden poles and stay blocks at a contract value of GH¢9,660,460 was rejected by the auditors because the liability had been paid and captured through the GIFMIS per PV No MoP/AS/IL/02/11/16 on 6 December, 2016 to the contractor. The Auditor-General also rejected the claim by Best Link Eng Limited for the payment of GH¢6,104,732 for the supply of pole-mounted distribution transformers in 2015. The rejection was based on the fact that payment had already been effected. Payment to the Ghana Cylinder Manufacturing Company of GH¢4,569,053 for the supply of LPG cylinders and accessories was also turned down by the Auditor-General because Ghana Oil Limited, based on a request from the Ministry of Energy, paid the contractors GH¢7,961,259.26, leaving GH¢1,311,200.44 as of November 30, 2016, which was also paid through NIB cheque No. 168173 to the contractors in full settlement of the debt. 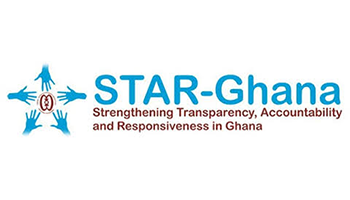 A request for the payment of GH¢6,828,174 to Africano Electro Limited for the supply of steel tubular poles in July 2015 was also rejected on the grounds that the government paid GH¢7,858,713.45 through the CAGD’s BTA No. PU/BTA/12/16/MoP on December 5, 2016, resulting in an overpayment of GH¢1,030,539.07 to the supplier. 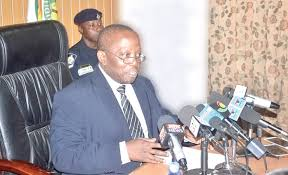 The Auditor-General, therefore, demanded a recovery of GH¢1,030,539, in the absence of further documentations. A claim for GH¢6,397,750 payment to Elsewedy Company Limited for a street-lighting project was also shot down on the basis that there were no records or documents to substantiate the authenticity of the claim. The Tema Oil Refinery’s (TOR’s) demand for GH¢72 million for plant stabilisation and profitability was also shot down on the grounds that the money had already been paid in 2015. 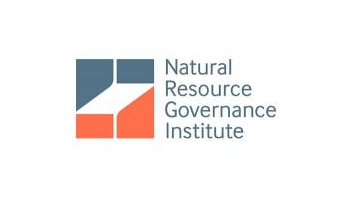 The Auditor-General observed in his report that whereas private entities were always eager to enforce their rights, principal spending officers of government projects were reluctant to exercise their rights, notwithstanding the existence of conditions on remedies for breaches. He cited an instance when the Ministry of Agriculture (MoFA) failed to sanction North Lane Company Limited for the delay in the execution of water management structures at Odaho-Donuso which caused the African Development Bank (AfDB) funding facility under the project in 2011 to lapse. On the contrary, the Auditor-General said MoFA accepted to pay North Lane Company total interest of GH¢4,002,806 on a debt of GH¢724,668. The Auditor-General also observed that some judgement debts which were reviewed also attested to the fact that some principal spending officers committed the government without due regard to value for money audit. 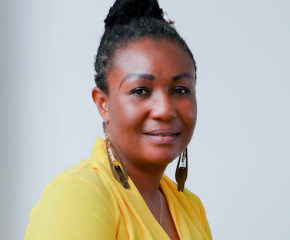 An instance, the report said, was the judgement debt of US$1,111,834.2 in the case of Media General Ghana Ltd vs Ghana Broadcasting Corporation (GBC), where the GBC negotiated and entered consent judgement without recourse to the Attorney-General. To strengthen the government’s position in the award of contracts and minimise the risk of judgement debts, the Auditor-General urged the Ministry of Justice and Attorney-General to issue guidelines on the specific terms under which principal spending officers could commit the government to certain financial obligations.